New Flyer! 20x PC Optimum Points with App + More! Shoppers Drug Mart Shoppers Drug Mart Flyer: 20x PC Optimum Points with App, Royale Bathroom Tissue $4.99, Lay's Chips $1.88 + More! New Flyer! 20x PC Optimum Points with App + More! 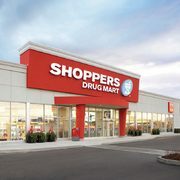 Shoppers Drug Mart's newest flyer is now up and available for you to check out! Deals go live beginning Saturday, March 23 and run through Thursday, March 28 unless otherwise stated. Flyer deals will go live on Saturday, March 23 and run through Thursday, March 28 unless otherwise stated. Prices and product selection may vary by location, so make sure to check out your local flyer here.